‘Edmund Weekend’ is a new phenomenon this year, the brainchild of ‘We Love Bury St Edmunds‘ creator James Sheen, who has persuaded businesses and other organisations in Bury St Edmunds to mark the weekend closest to St Edmund’s Day (20 November). The idea has been enthusiastically received, and Edmund Weekend looks set to become a permanent fixture in the town’s calendar. My own contribution to Edmund Weekend has been to deliver two lectures on the saint. On Friday 17 November I spoke to the Guild of St Edmund, a gathering of volunteers for St Edmundsbury Cathedral, about ‘The Search for St Edmund’ – both the historical search for the real Edmund behind the legend, and the archaeological search for the mortal remains of the saint. The event was an opportunity to introduce my forthcoming book Edmund: In Search of England’s Lost King, which will be published by I. 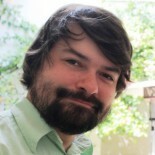 B. Tauris in March 2018. 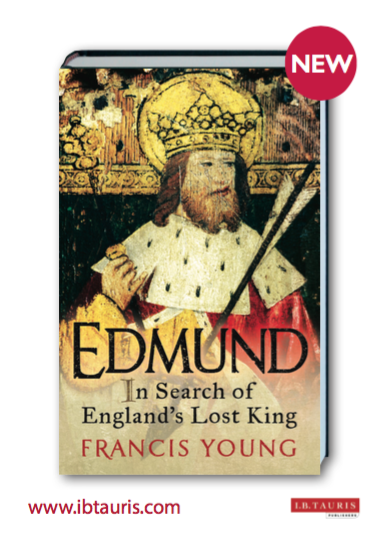 My second contribution to Edmund Weekend was to speak on ‘How St Edmund became England’s patron saint‘ at Moyse’s Hall Museum on the evening of Sunday 19 November, the eve of St Edmund’s Day itself. It was a great honour to be invited to speak at the museum, which I have loved since childhood. In 1992 I even won a Blue Peter Badge for writing a letter explaining why Moyse’s Hall was the best museum in the country. It was also a joy to see for the first time the Edmund Jewel, the mysterious gold aestel recently acquired by the museum, which I have speculated may have been involved in some way in the earliest phase of the cult of St Edmund. My talk focussed on the development of the cult of St Edmund as a national and international phenomenon: when and how Edmund became the patron saint of England, as well as what we mean when speak of Edmund as a patron saint. 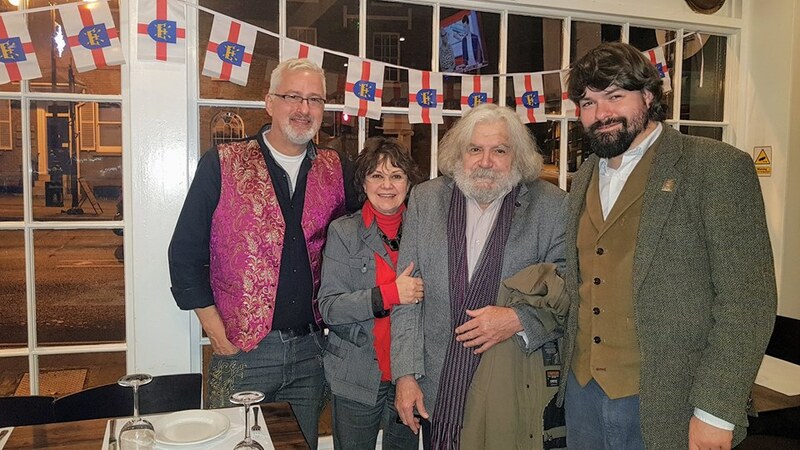 The talk also touched a subject dear to the hearts of many in Bury St Edmunds and Suffolk – the prospects of Edmund regaining his status as a recognised national patron saint. This entry was posted on November 20, 2017 by jacobite.